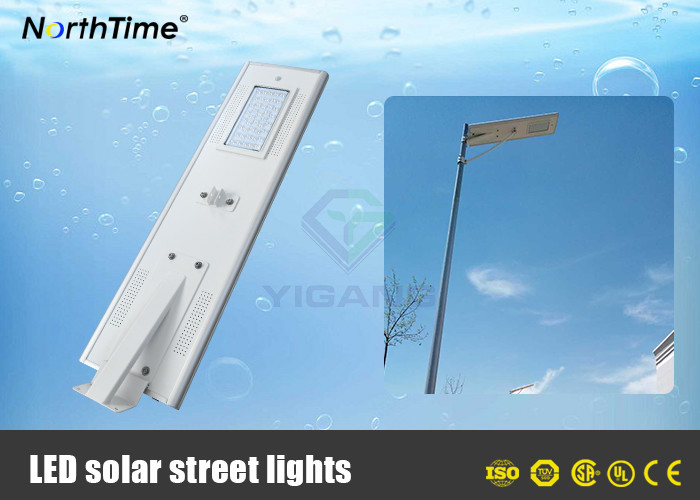 Integrated solar street light include the led lamp, solar panel, motion sensor, lithium battery into one single product, and there is no any lines, it's very practical and convenient. 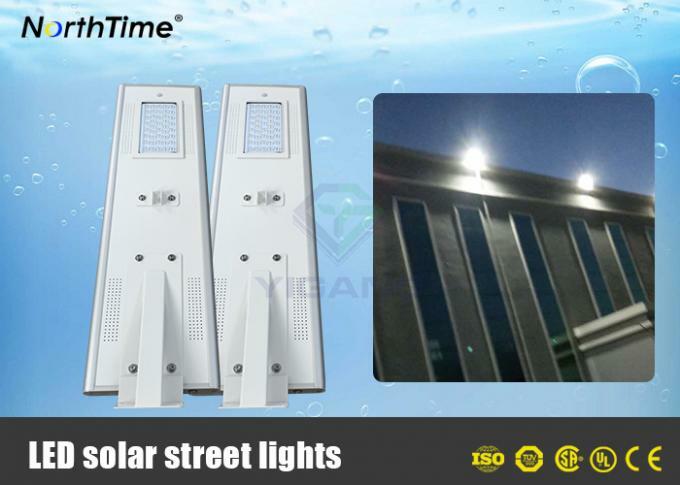 Inside the light, there is a controller, it will control the solar panel to charge the battery in the daytime, also it will control the led lamp to light up in the night. Be used in the areas with rich sunlight and lack of electricity power areas. 1. All-in-one compact design. LED light, solar panel, lithium battery and controller integrated into one case. 2. 100% solar powered, no wiring, very easy for installation. 3. Mobile APP remote control, multiple control mode. Please kindly contact us for the details. 4. 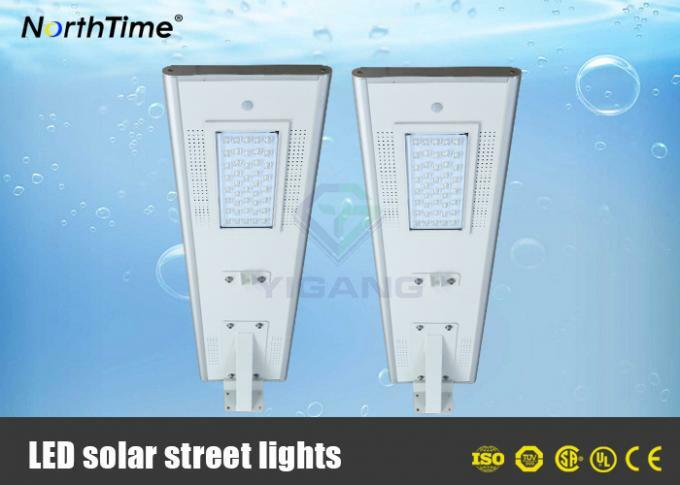 Built-in infrared sensor, adjusting the light automatically. 5. Rust-proof, dustproof and waterproof. 6. 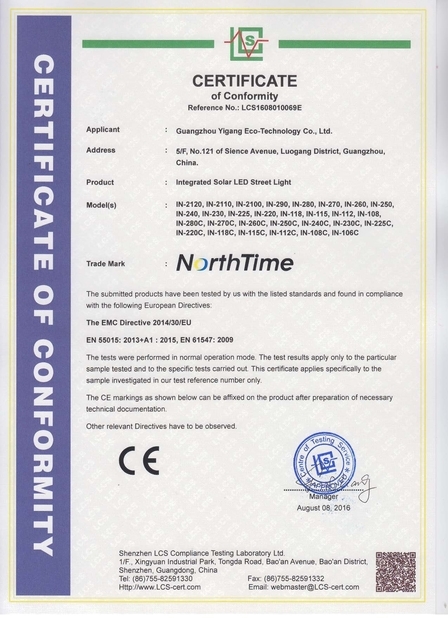 Wide application range: street, roadway, sidewalk, private road, pathway, park, garden, courtyard, fence, campus, ramp, boat dock, remote area, farm & ranch, etc. (1) Payment terms: 30% of all value paid by T/T as deposit, the balance paid by T/T before shipment. 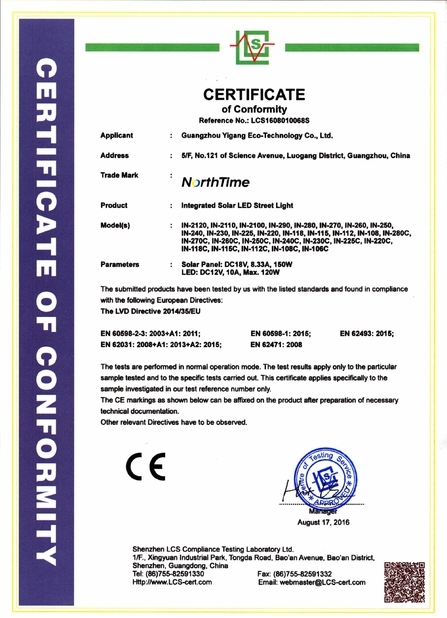 (2) Lead time : Within 7-10 working days after receiving the deposit. (3) Solar street light samples: Can be ready in 3-5 working days once payment received. (4) Shipping port: Guangzhou, China. (5) Discounts : We offer discount for large quantity. (6) Packaging: Neutral package, also can be customized according to customer requirements of Logo, Brand and etc. 2. We own well-trained and professional sales & after- sale services who can speak fluent English language. 3. We offer OEM & ODM services. Can print your own logo on product, can customize the retail box packing and other things. 4. We provide complete post-sale service, including installation, technical guide.